Favoring the blockchain economy/ empowering cryptocurrency transactions. Applying cutting-edge technology capable of helping our users add value to their transactions by eliminating intermediaries and implementing the principle of transparency, thus increasing yields significantly. Integrated and orchestrated 360 view solution design that encompasses clients, people, behavior, processes, operating model and state-of-the-art technology, coupled with artificial intelligence service. Agile and Rapid Development environments featuring third party of blockchain toolsets, taylor-made modeling of Proof of Concept and Proof of Value. Analysis of business ICO readiness, covering financial, operational, marketing, technical, compliance (KYC/AML check) and legal aspects. Analysis and recommendations for improvement of the existing business model, market focus, product positioning, management team, fundraising strategy, ICO White Paper, business or development plan, marketing campaign and ICO road map. Agile and Complex Implementation Management, third-party integration software/hardware provider and ISO 9000 customized coding. We follow the golden rule: Strategy drives change to Architecture and Architecture translates Strategy to Execution. Execution enables Architecture improvements and Architecture informs Strategy to each client. 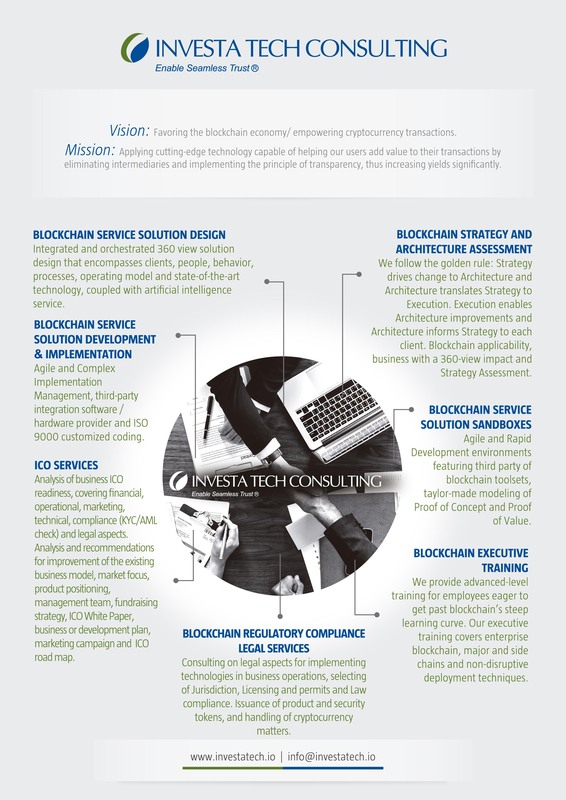 Blockchain applicability, business with a 360-view impact and Strategy Assessment. 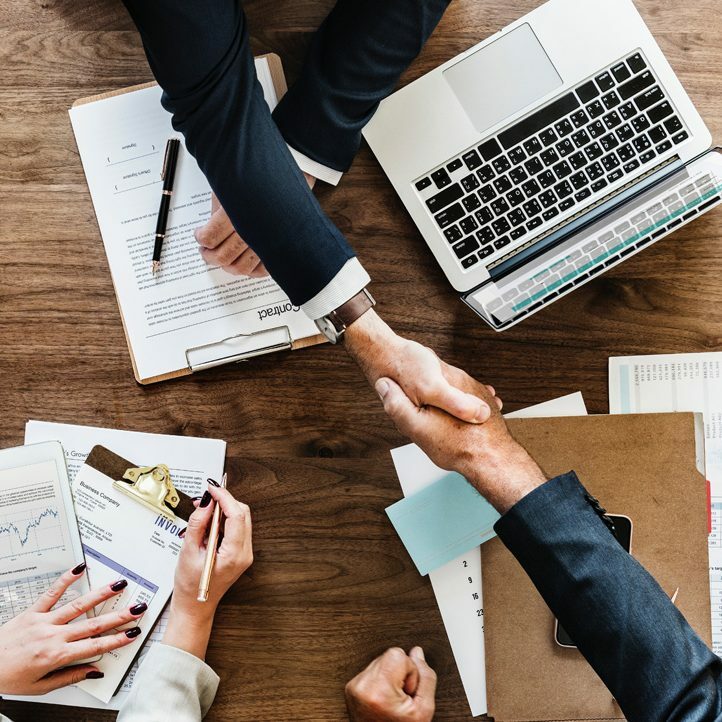 Consulting on legal aspects for implementing technologies in business operations, selecting of Jurisdiction, Licensing and permits and Law compliance. Issuance of product and security tokens, and handling of cryptocurrency matters. We provide advanced-level training for employees eager to get past blockchain’s steep learning curve. Our executive training covers enterprise blockchain, major and side chains and non-disruptive deployment techniques.